I want to tell you about one of my favorite Disney Imagineers, Terri Hardin. She is known as one of Walt Disney’s legendary Imagineers. Terri was a sculptor and concept artist for the Disney parks, and also a puppeteer for the Jim Henson Company. She has been with Jim Henson since 1989 and with Disney since 1987. 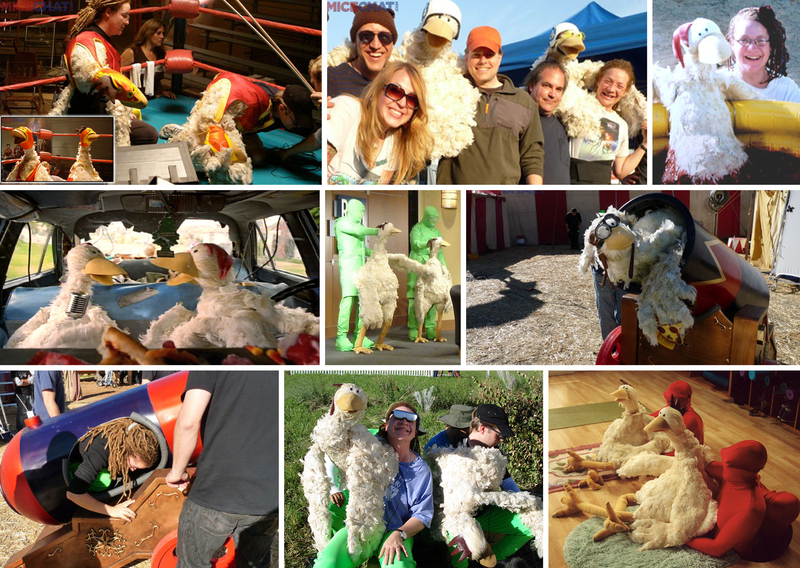 The very talented Terri is noted as being one of the top 10 puppeteers in California. She was working at Universal Studios, designing the “walk-around” character costumes, when Disney signed her up and put her in Imagineering. Someday, Terri will be added to the Disney Legends program for her Imagineering work for the parks. •	The model sculpt for the Br’er Fox on Splash Mountain in three Disney parks. •	The Br’er Rabbit log figurehead, and the log itself, on Splash Mountain in Magic Kingdom and Tokyo Disneyland (see photo). •	In Tokyo Disneyland’s Splash Mountain, she designed the look of the main drop. It was part of a reward for Terri’s innovative thinking and fast pace. The Tokyo Splash Mountain project had fallen behind schedule, so Terri was brought on to give a helping hand. She created a new technique that could get the job done 10 times faster than before. So, she was given the task of designing the main drop. Consequently, Terri helped them meet the deadline. •	The puppeteering for Idee and Odee, known as The Geex, in the 3D Disneyland and Disney World film Captain EO. •	In Captain EO, when the Supreme Leader, played by Anjelica Huston, was supposed to have been lifted into the air, Terri stood in as her stunt double. •	She was also the puppeteer for Hooter’s trunk when he was trying to reach the button. 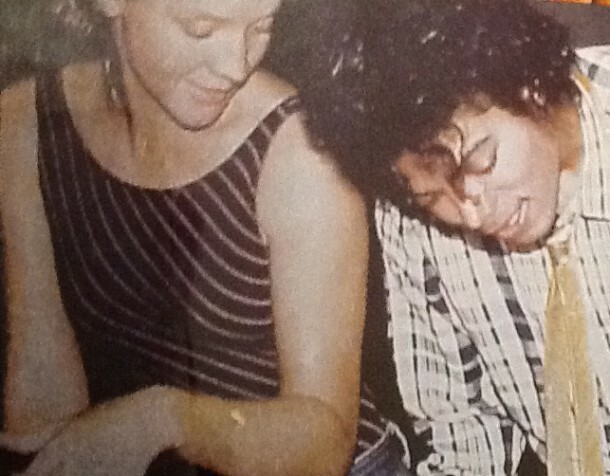 “I did become friends with Michael Jackson. I found him to be kind, sweet, and very generous with everyone. He always had time for people. Anyone who had the chance to really get to know him as I did, realized that Michael was very different from what the media would have you believe. Being a celebrity is not always what it's cracked up to be and may not be the goal in many a celebrity’s first mission. Many, like Michael Jackson, are ordinary, passionate people who followed their dream with great tenacity and laser focus. •	In Muppet*Vision 3D, she was the puppeteer for the it’s a small world dolls in the ensemble at the end of the film. That means there was more than one puppeteer huddled down underneath the characters. Many arms were involved. It is difficult to be specific about who did what with what dolls. When the animatronic penguins were installed in the orchestral section up front, they needed someone to do the puppeteering for them. Terri did the movements for the little, musical, flightless birds and the movements were recorded and then used for playback during the show. This attraction has been removed from California Adventure, but it can still be seen in all of its glory at Hollywood Studios in Walt Disney World. •	Star Tours is one of the most popular attractions in Disneyland’s Tomorrowland. When the attraction first opened, the seats were made out of a foam-type material over which were cloth covers. If a guest became ill while on the attraction, a Cast Member would pull off the cover and take it out for cleaning. Meanwhile a new cover was put on the seat. The problem was the foam would sometimes absorb the liquids into it before the cover could be removed and replaced. It wasn’t very clean. Terri was brand new to Imagineering at the time when Disney came to her and begged her to make a “vomit seat.” She sculpted a seat that could fit buttocks, but was shaped to “gather” the liquids that might end up on the seat. And, it had to be made out of non-absorbent material. This was Terri’s first project in Imagineering. I am sure that, since 1987, the seats have been changed out with a different style, especially after Star Tours: The Adventure Continues was added in. •	In 1989, Pan Galactic Pizza Port in Tokyo Disneyland had animatronic puppets above the order queue that would talk and sort of perform a show. Terri was the one that puppeteered their movements. The theme was that the restaurant was built up around a giant pizza making-machine, and Tony Solaroni was in charge of making the machine run smoothly. •	Star Tours in Tokyo Disneyland needed their own Admiral Ackbar for a 20-minute loop video that would play for the people in the queue. 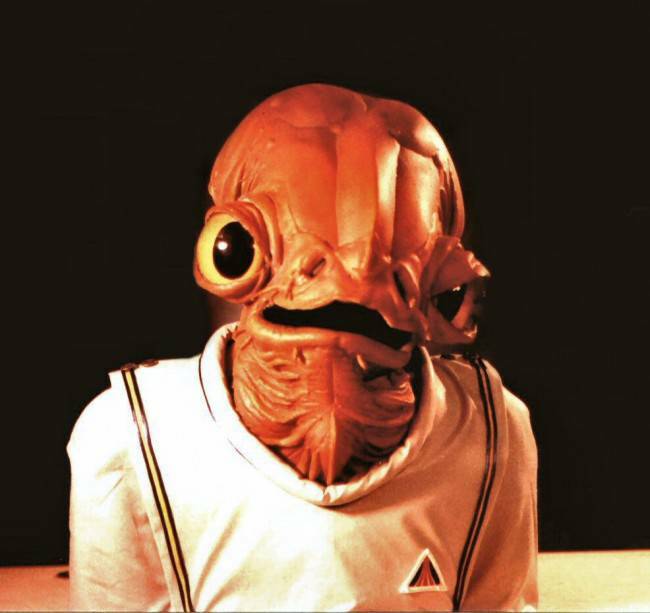 The Ackbar puppet was created by Terri and Lynette Eklund, and was puppeteered by both of them as well. Terri studied Japanese and was able to break down the dialogue so they could properly give Ackbar his facial expressions and movement. •	Epcot had an attraction called Body Wars. It was a motion simulation attraction, much like Star Tours, that opened in 1989 and starred Elisabeth Shue. The plot of the attraction was to shrink Guests down and send them into the human body via the blood stream. Terri was responsible for making and puppeteering blood vessels and other body parts. •	In 2003, the first prototype interactive meet and greet Mickey Mouse was created and presented to Roy Disney for approval. This Mickey Mouse had a moving mouth, blinking eyes, and was able to talk. Terri controlled the face and mouth with remote controls that were connected to and carried around in a big trunk. When presented to Roy, Terri made Mickey Mouse say, “You need me!” and then blink his eyes. Roy loved it. The problem was that Mickey Mouse had to be connected to the big, heavy trunk. It wasn’t until 2010 that we saw a functioning Mouse that could talk and blink, but only in the shows and parades. He became a meet and greet character in 2013, but has since been removed because he was too terrifying for small children, so they say. •	The Tower of Terror that was created for Hollywood Studios in Disney World, and later California Adventure, wasn’t a hit from the start. The Imagineers had to pitch the idea and then get it approved before it could be put into production. They needed a photo to show off their new idea. So, they created a life-sized model of the elevator car that the Guests sit in. Terri was brought in and sat in the car for the promo photo. Why her? Because of her hair. They pulled all of her locks upward to make it appear that she was falling. She threw her arms in the air, put on a big screaming grin, the photo was taken, and the rest is history. •	Ghostbusters (1984). This was the role that gave her the big break she needed. She was a puppeteer for the librarian and Zuul’s demon dog that Sigourney Weaver turned into; it’s the one that showed up in her refrigerator. For that scene, Terri was actually in the demon dog suit. Also, she was one of the puppeteers for the demon dog on the sofa. 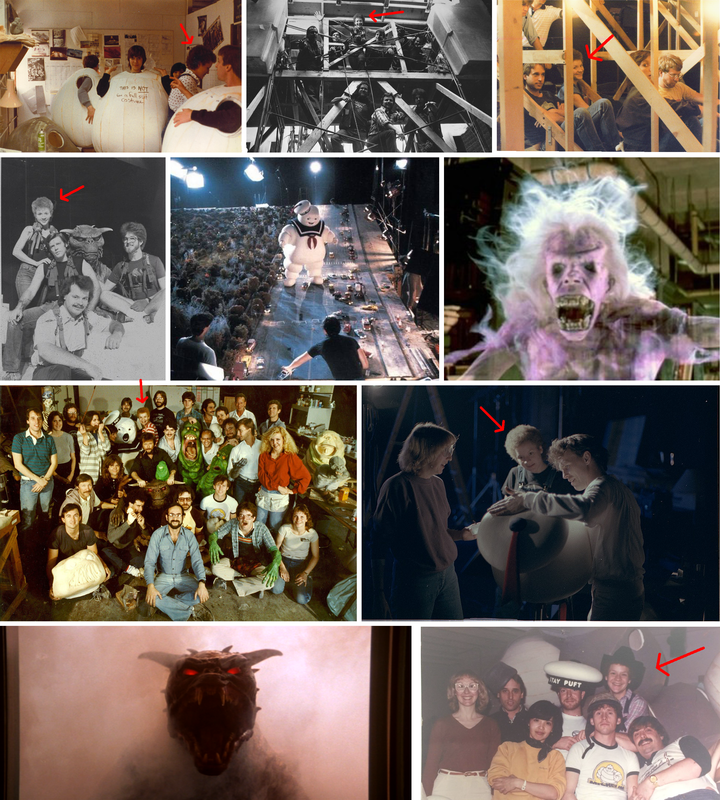 When the Ghostbusters meet Gozer, Terri was in one of the dog suits off to the side. Her shining moment was when she puppeteered the face of the Stay Puft marshmallow man. When Terri was controlling the face of Stay Puft, she had to lay down below street level. •	Dune (1984). She made the costumes, and stunt doubled for Sean Young. •	Men in Black (1997). She was the puppeteer for The Twins. •	Men in Black 2 (2002). She was the puppeteer for Sharkhead and The Worms. •	The Flintstones (1994). She was puppeteering Dino’s hands and tongue. She was also the one controlling the dinosaur that Fred rode at work. •	The Flintstones In Viva Rock Vegas (2000). She was a puppeteer. •	Dinosaurs (1991). She was the puppeteer for Baby Sinclair’s arms in this Jim Henson collaborative television series with Disney. She also puppeteered Heather Worthington, Lingo, and sometimes Mindy. She would sometimes voice extra characters, like the food, other background characters, and was once Mindy. There was a lot of ensemble work, so lots of people did lots of things for many of the characters. 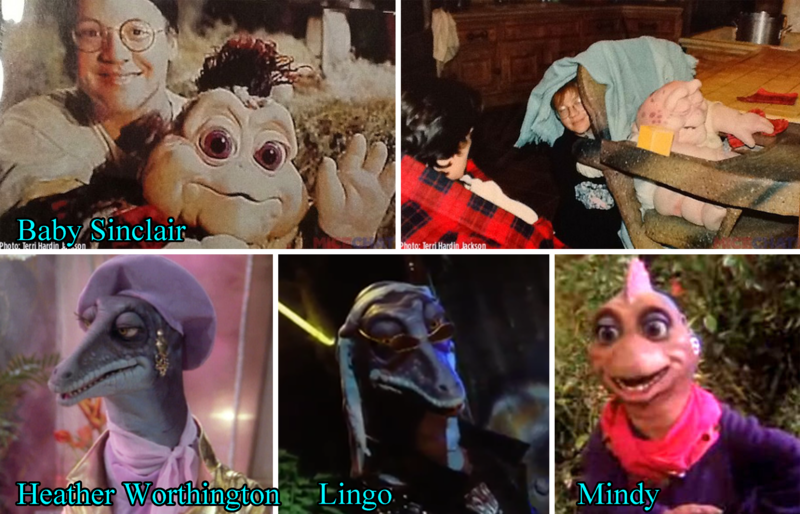 Baby Sinclair took three puppeteers to work, one for the arms (Terri), one for the eyes (John Kennedy), and one for the mouth and speaking (Kevin Clash). •	The Indian in the Cupboard (1995). She was the puppeteer for the Indian. She puppeteered all the long-shot interactive scenes with him as a 5” puppet, but not the up-close with the actor. After it was all said and done, they decided to use CG (computer graphics) to fill it all in, thus replacing her scenes. There was one brief moment that was left in the final film. It was when Omri took the teepee from his desk to try something out by putting it in the cupboard. Terri was inside the dresser doing the puppeteer work and made him turn toward Omri. There was also some moments when she puppeteered the pet rat. •	Monkeybone (2001). Terri was the puppeteer and voice actor for Betty the Bovine. She said, “Step right up. Three balls for a dollar. Win a prize for the little lady.” This was also the movie when she met and became good friends with Doug Jones, who was Yeti in the film. You might know Doug Jones better as Billy from Hocus Pocus (1993), Abe Sapien in Hellboy (2004), Fauno & Pale Man in Pan’s Labyrinth (2006), Silver Surfer in Fantastic 4: Rise of the Silver Surfer (2007), and recently, the Amphibian Man in the Academy Award winning film The Shape of Water (2017). •	Days of Our Lives (1965-present). Terri was a part of this fourth longest-running series of all time. This show has been on the air since Walt Disney was still alive. However, she was only in one episode. Terri was a puppeteer for a fake human head that, when its mouth opened, a bunch of spiders crawled out. The head had a tube going into the mouth. When the mouth opened, someone lightly blew air into the tube to make the spiders crawl out. After the scene was shot, and while spiders still crawled on her, Terri froze with her eyes closed until the handler collected all the spiders. Then, she booked it out of the building and freaked out in her car. This was for a scene when Will’s mother was drugged and started hallucinating. •	The Country Bears (2002). She was the puppeteer for Big Al and Trixie St. Clair. The Big Al costume was the heaviest costume out of all of them. The “Big Al Shuffle” came from the fact that it was difficult for multiple puppeteers to control the character. 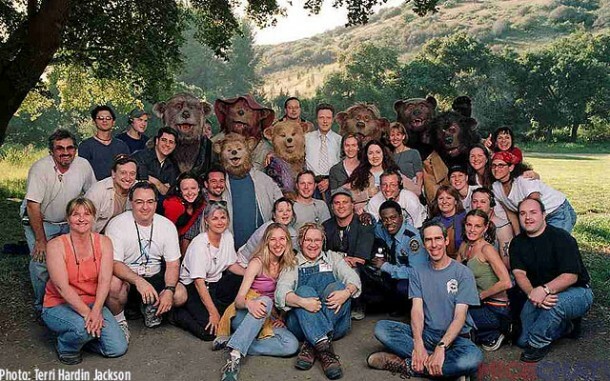 •	The whole puppeteering cast of The Country Bears (2002); Terri is front and center. •	Theodore Rex (1995). She was the facial puppeteer for Molly Rex; the film starred Whoopie Goldberg. The character’s facial movements were radio controlled. There was a scene that had to be filmed near an airport and the radio traffic interfered with the radio controllers, causing the face to act crazy. •	Team America: World Police (2004). She puppeteered the Samuel L. Jackson marionette in F.A.G. She also dabbed Gary Johnston’s eyes with a tissue when he was crying. •	Jungle 2 Jungle (1997). She created the drugged cat that Tim Allen shot with the blowgun. She sculpted the face, built the body, and then covered it with fur. It was for the special effects studio KNB EFX Group. •	The Relic (1997). She made the giant ground sloth skeleton and a second version of it that was burnable. The director liked her sculpts so much that he took home the one that didn’t burn up. At the time it was released, it was one of my favorite films. To see her Giant Ground Sloth sculpture, skip ahead to 1:20 in the movie clip. •	The Wickedest Witch (1989). She was part of the ensemble to puppeteer the dragons. There was a part in the film when the witch, Rue McClanahan, turns one of the dragons to stone. Terri sculpted the “stone” dragon. •	Bruno (2000). Also known as The Dress Code, starred Shirley MacLaine and Kathy Bates. When Bruno runs through the graveyard, you can see Terri’s sculpt of an angel boy. •	Oral Roberts Celebration (1981). She was a puppeteer for the Fudge Family that were created by Sid & Marty Krofft. She puppeteered Arleen Fudge and was the hands for Grandma Fudge while she was knitting on camera. •	The Popples (1986). She was a puppeteer for the Popples. This was a live-action, 22-minute, made-for-television movie based on the animated series of the same name to promote the new Popples backpacks. •	DNA (1996). As part of the special effects crew, she sculpted bones that were used to create the creature in the film. •	Mars Attacks! (1996). She made the dove of peace that was blasted out of the sky, the presidential parakeets, and the dog skeletons. •	The Muppet Movie (1979). She was part of the ensemble. •	Wild America (1997). She was the puppeteer for the bears and snakes. When Jonathon Taylor Thomas came face to face with the grizzly bear, Terri puppeteered the fake bear. The production company flew her up to Canada for the filming. •	The Eighteenth Angel (1997). She sculpted the cat ears. •	Renegade (1992-1997). She was the voice of the parrot in the Eye of the Storm episode. •	King Kong (1976). She was an extra in the crowd. •	The Low Budget Time Machine (2003). Terri was the art director for this film and created the hat William Sanderson wore. 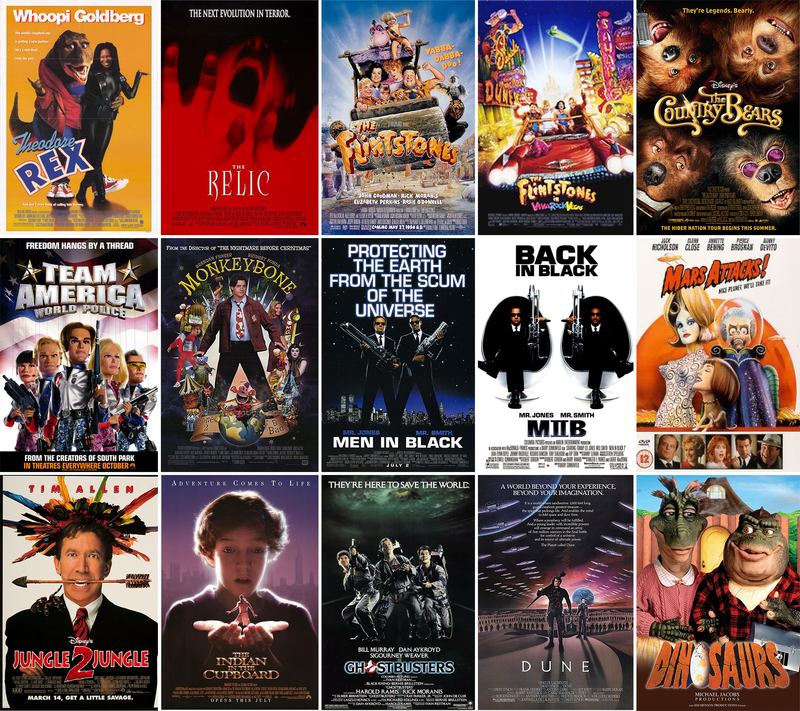 •	Here are poster pics of some of the movies and television shows Terri worked on. •	Terri designed and built the Foster Imposter Chickens for the Foster Farms commercials, and is the puppeteer for the passenger chicken, which is the smaller of the two. She started filming them in 1993 and has completed about 40 commercials so far. Rick Lazzarini designs all of the new chickens, including the walking ones, for recent commercials. •	McDonald’s came out with new, battered Chicken McNuggets and started making commercials with the new McNuggets. 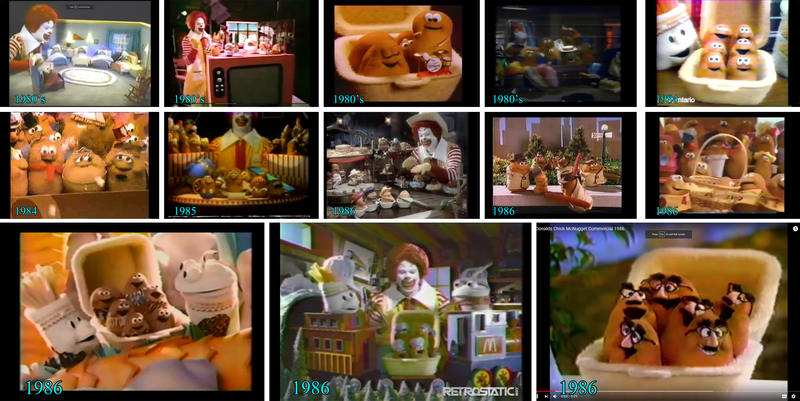 Terri created the McNugget puppets and puppeteered them from 1982-1986. We are unsure exactly which commercials she worked on, but here are all the commercials I could find in that timeframe. I couldn’t find specific dates for some of them, so they are listed as 1980’s. •	Going back to the early 1990’s, the Jim Henson Workshop did a series of commercials for Nissin Noodle Cups. Terri was the puppeteer for the face of the caveman’s son. The face was radio controlled. •	Terri was a figurine sculptor for Disney for years, designing and creating many of the collector figurines that we all like. One of these figurines was Tinker Bell walking along the map to show Captain Hook where to find Peter Pan (see photo further ahead). When she started working in Imagineering, they put her in Blaine Gibson’s cubical. She sat there with nothing to do for four days. Blaine had documented all of his sculpts. This gave Terri something to study while she waited for a project to come across her desk. He was basically a mentor to her (see photo). Blaine sculpted the “Partners Statue” in the middle of the park and the pirates’ faces in Pirates of the Caribbean, taught Imagineer Rolly Crump how to sculpt, and so much more. •	In 1998, she sculpted a figurine series for Disney called “Jewels of the Park.” They were sculpts of the attraction ride vehicles from Fantasyland. 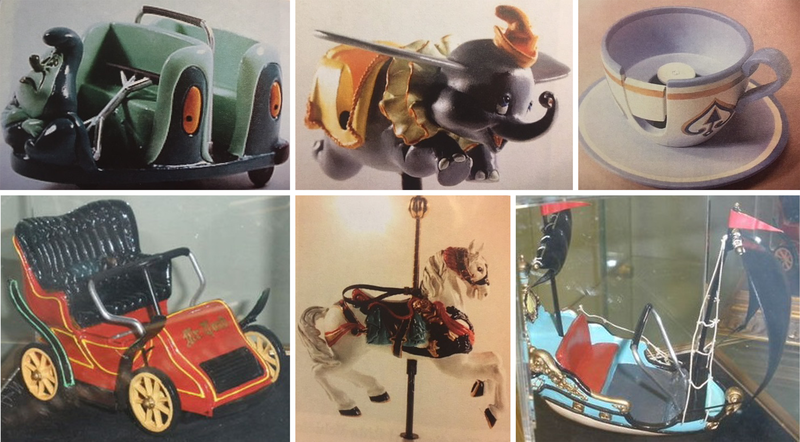 It included a caterpillar from Alice in Wonderland, a pirate ship from Peter Pan’s Flight, a teacup from Mad Tea Party, a car from Mr. Toad’s Wild Ride, a Dumbo from Dumbo the Flying Elephant, and a carousel horse from King Arthur Carrousel. She used the horse with the cherub on it because it is her favorite. There were only 10 replicas of each sculpt made for a special event held in the old Disney Gallery above Pirates of the Caribbean. Terri made a special sculpt of Mr. Toad riding in one of the car figurines that went to Imagineer Tony Baxter. 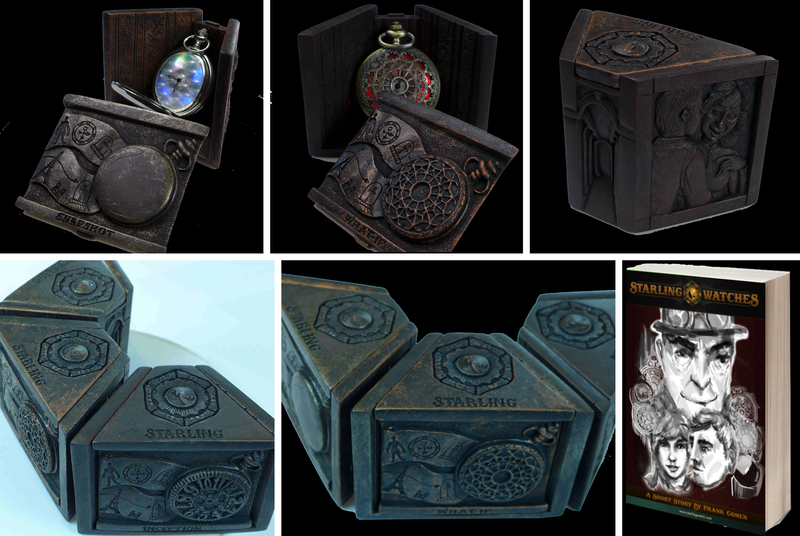 •	For the 30th anniversary special event of Haunted Mansion in 1999, she was tasked with sculpting the “Organ Master,” “The Grave Digger and His Dog,” and the “Bat Stanchion.” In order to prepare to sculpt these items, she had to walk around on the attraction when the lights were on. This gave her the ability to take “turn around” photos of things, which means 360° around each object, like the bat stanchion. That way, she has the same details on the back and the front as does the real thing. Terri is very detailed in her work, wanting to make sure every part is an exact replica of the real thing. Consequently, the organ has the same number of keys and buttons as the real one, and also the same gold trim. •	When the “Bat Stanchion” was released at the event, it was supposed to originally be a LE (Limited Edition Size) 1000, but at the last minute, Disney changed it to LE 350. Terri was able to set aside the figurines she needed for her friends, family, and herself, which was a good thing as they all sold out in two hours. Each one sold for $35. •	At the time of the event she didn’t have the “Organ Master” completely sculpted, but people were able to look at the original sculpt up close in its present state and pre-order one of the LE 10. Each one sold for $1,200. Remember the details she included in her sculpt? Some fanatic collector commented to her that her sculpt had the same amount of keys as the actual organ on the attraction. Detail! She always pays attention to detail. Standing at 17” tall, the “Organ Master” is the most intricate sculpt she has ever done for Disney. •	The “Grave Digger” also had a LE 10 and sold for $1,200. The painting process for this figurine became problematic. Generally, when a mold is made, a certain number of replicas are made, which is the LE size. Nothing more than that are made. Disney has to maintain their integrity and reputation for the collector’s sake. If there are 100 made of something, there are only 100. Terri would have what is known as “artist’s proofs” made. This gave her something to play around with during the painting process. They could make mistakes and it wouldn’t affect the actual figurines that people would buy. When the first painting of the “Grave Digger” was completed, it didn’t look right to Terri. She sought the input of Imagineer Tony Baxter, who suggested painting it to look as if it were bronzed. She had her painter try that. Nope. Still didn’t look right. She got the input of a frame designer who added that the scene in which Terri sculpted is usually seen in the dark and that certain aspects of the character would be in shadow. Terri was excited to realize that the frightened old man and his canine companion needed to be painted as though they were in moonlight and the only thing illuminating them was his lantern. The figurines turned out perfectly. •	The “Captain’s Bed” would turn out to be quite a feat. It was the first piece to be created with mixed media. There were certain facets created with sculpt which were then cast, the blanket and pillow fringe were made out of fabric and lace, and the magnifying glass is an actual magnifying glass that had been sanded down and fitted into a ¾” wedding band. This was a LE 10 and sold for $2,000, with the original one selling for a whopping $10,000. •	The “Pirate Jail” was a unique sculpture in that you could flip it around and look through the bars from the viewpoint of the pirates. When trying to install the bars on her practice sculpt, she had to drill so many holes in order to get it perfect. So, it is a good thing Terri has “artist’s proofs” made. This figurine was made for a special Passholder Event and they were LE 10. Each one sold for $2,000, with the original selling for $10,000. Apparently, one person bought all 10 pieces with the intent to sell them on the newly-founded website eBay. Collectors boycotted his auctions and it pressed the guy to return them to the gallery, making them available to the other collectors. •	One of the requests by fans was for Terri’s sculpts to have a larger edition size. Well, when Terri sculpted the 17” Chernabog for Disneyland’s Villain Event, it had a LE 10 but was later changed to LE 5. This was very disappointing for collectors, but there were plenty to go around because he was selling for $1,500 and fans had to put their name in a lottery to even have a chance at purchasing the giant demon. Because Terri puts a lot of work and detail into her sculptures, the fans are going to be the ones to really appreciate the detail that is put into their favorite character or attraction piece. •	When Terri found out the LE # was dropped on Chernabog, she went to Linda Votaw, who was her go-between with Disney, about it. However, she said Disney wouldn’t budge on the LE #. Linda then convinced Disney to make Terri’s 5” figurine of Maleficent an open edition until the end of the event. That meant as many people who wanted one could order up to ten, as there would be plenty made to go around. By the end of the night the LE was set at 400. •	Her original sculpt, called “The Father,” didn’t sell at the event with the other Chernabog figurines. It was sent to the Disneyana Store on Main Street, where it sat on display in all of its pinkish/tan glory. One day, Nicholas Cage walked in and bought it for $6,500, along with the concept sketch. This is a very fragile sculpt because the pinkish/tan, waxy clay doesn’t set; it stays moldable. Great care has to go into having one of these. •	Around 2000, Disney brought Terri in again to do another sculpt for Disneyland’s upcoming 45-year anniversary. It was a giant bronze puzzle of the park. Disney liked it so much they ended up pulling it from the 45-year celebration and used it at a Disneyana Convention in 2001. With a LE 10, each one sold for $1,800 in celebration of Walt’s 100th birthday. Just like the Chernabog sculpt, the buyers’ names were put in a lottery for the chance to buy it. Because Disney pulled the map, the spot for the 45-year anniversary was open and Terri had to complete another sculpt. It would be the popular pixie, Tinker Bell. This sculpt ended up being Terri’s highest LE size. However, it didn’t start out that way. Disney loved her Tink sculpt so much that they only wanted to make ONE of them. This just wouldn’t do. Terri had consulted with a handful of Tinker Bell fanatics, collectors, and experts to brainstorm over ideas of what she would look like. They ultimately decided on the infamous scene in which Tink betrays Peter Pan and the Lost Boys to Captain Hook by walking on a map and leaving little ink footprints. All that work for a LE 1? Terri couldn’t handle it. She makes these sculpts for collectors. How can people collect if there is only one? She appealed it to Disney, stating that there would be a bloodbath. Disney ended up agreeing to give Tink her own event in August 2001 and increase her LE size to 50. This still wasn’t high enough. In the end, Disney ended up on allowing a LE 2500, making it Terri’s highest LE size, and making it easy for collectors everywhere to get ahold of one. Her final project for Disney would end up being the popular pixie. •	She has an instructional DVD titled Pumpkin Sculpting with Professional Artist Terri Hardin (2006). Every year Terri teaches people how to carve pumpkins for Halloween. Check out her website for classes. 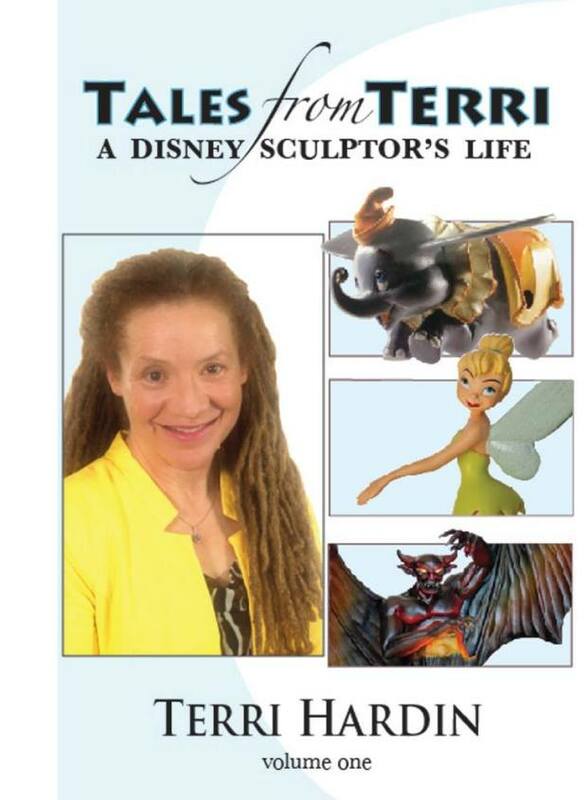 •	She released a book in 2013 titled Tales from Terri, A Disney Sculptor’s Life – Volume One. I recommend getting this book to read her sculpting stories in her own words. She is currently working on other volumes that will talk about other aspects of her career. •	Still today, she custom sculpts figurines for collectors. The Stitch and Remy were sculpted by her in 2016 and 2017, and then the Jiminy Cricket was sculpted at the end of 2017 (see photo). She still sculpts all the time and sells them on her website HERE. Baby Groot will be ready for the summer of 2018. •	Terri also takes on commission projects. One outstanding sculpt requested by Guillermo del Toro was of the “Captain’s Quarters” from the Pirates of the Caribbean attraction. Guillermo recently won Best Director at the 2018 Academy Awards for his film The Shape of Water (2017), along with the award for Best Picture. •	One of her claims to fame is being named the #1 Star Wars fan. I love to hear her tell this story; it is one of my favorites. When Star Wars was released in 1977, Terri went to see the movie and loved it. However, she didn’t just see it that one time. She saw it a total of 66 times before theater employees caught her sneaking in wearing different disguises each time. She was confronted by the manager, who was then impressed with how many times she had seen the movie. So, he told her she could come back and see it as many times as she wanted. He just wanted to know when she got to #100, so he could notify the press. This wasn’t just a fan thing for Terri. Terri wanted to live the dream of being a part of this. With every viewing of the film, she would sketch the characters (see photos) and she would write down all the names she could when the credits rolled. She was obsessed with it. She even had a 1968 Cougar with a license plate that said VADER 1. Terri went as far as to create a Chewbacca costume. When she compared her list of names, that she wrote down from the credits, to articles and announcements in the newspaper, she finally found a name that matched, Rick Baker. Rick was in charge of the characters in the Cantina scene. Terri went to Long Beach University to hear him speak. After the room cleared out, she had a private conversation with him about being able to do what he does. She showed him her portfolio of artwork and, being impressed, he gave her some names and phone numbers to call. After calling around, she was able to get into some of the special effects shops that worked on Star Wars. Around this time she made it to her 100th viewing of the film. Channel 7 news interviewed her and used a clip of her saying that she had seen the film 100 times. By the end of its run, Terri had seen A New Hope 180 times. And you think you’re a fan? •	Because of her media coverage as the #1 fan, she ended up in the George Lucas biography, Skywalking: The Life and Films of George Lucas. She is mentioned on page 3. •	Jump ahead a few years to when it was announced that The Empire Strikes Back was going to be coming out. Terri wanted to get the very first ticket. Let’s just say this story is long and detailed. It is best to hear her tell you about all the drama, the pacing, the threats of arrest, the free food, and that Lucas threatened to pull their film from that theater. This is a great story. She is interviewed quite frequently on podcasts. Listen to this interview when she tells her story. •	Over her lifetime she has created many costumes, including a Xenomorph from Alien (1979) and the Queen of Hearts from Alice in Wonderland. For a costume contest in 1979, she created a Kabuki lion man costume and a ninja costume. She and a friend had a whole routine worked out for the judges in which they used real practice swords. Terri had a close call and got some of the hair chopped off her character. She took home 1st place for that. •	Terri won another costume contest in the early 1990’s for making a replica of Michelle Pfeiffer’s Catwoman costume from the film Batman Returns (1992). She won $7,000 for that cat suit. •	She has created a life-sized, rubberized mermaid tail to wear. All of the individual scales and fins were sculpted by her before casting on herself into a mold and creating a rubber copy of it. •	Recently she created a replica of Hela’s headdress from Thor: Ragnarok for a cosplay. 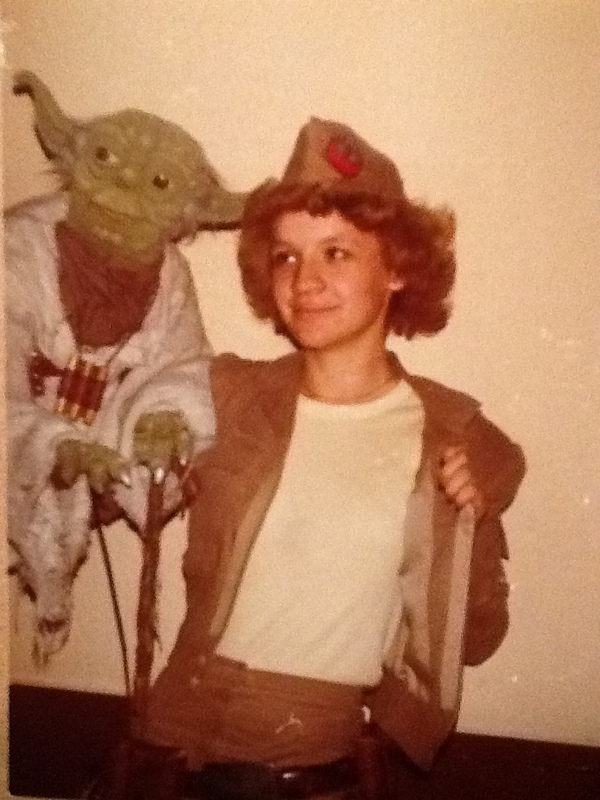 •	Terri was 22 when she made this Yoda puppet for a costume contest at a convention. She constructed Yoda’s teeth out of dental wax, his eyes from ping-pong balls, and the body from foam. For herself, she recreated Luke’s Dagobah training uniform, with the addition of the rebellion hat that was her own touch to set her apart from him. She even created her gun holsters. She wasn’t about to just walk out in front of the judges with nothing to say. She had a whole bit worked out. She ran on stage huffing from her training and Yoda told her she must continue training. At that moment, Terri closed her eyes and tried to use the Force to levitate the audience. She said that she couldn’t do it and ran off stage. After a moment, she ran back on stage and told Yoda that she would succeed in levitating the audience. So, she closed her eyes, reached out to the audience, and tried to use the Force one more time. She opened her eyes to a standing ovation of the entire audience of 400 people. She won 1st place for best in show and best in division. 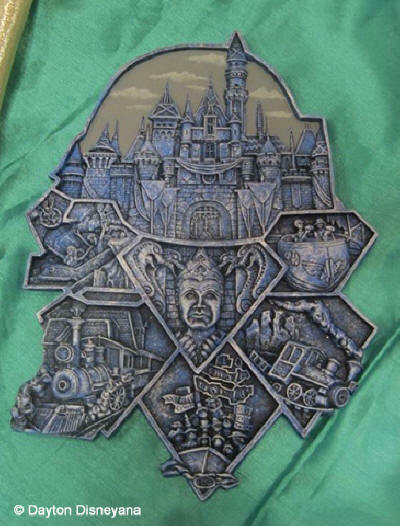 •	She sculpted a plaque for Disneyland’s 60th anniversary on her own. It’s fairly sizeable, measuring in at 9” x 7” and ½” deep. It has a LE 200 and sells for $300. Each section of the plaque represents a different decade in the park’s history. She still has some available on her website. •	One of Terri’s lifelong heroes is Shari Lewis, a puppeteer and ventriloquist who was on the show The Banana Splits Adventure Hour (1968-1970), Lamb Chop’s Play-Along (1992-1997), “this is the song that doesn’t end…” remember that?, and The Charlie Horse Music Pizza (1998-1999) to name a few. Shari created Lamb Chop in 1957 and appeared on quite a few shows including The Shari Lewis Show (1960-1963). 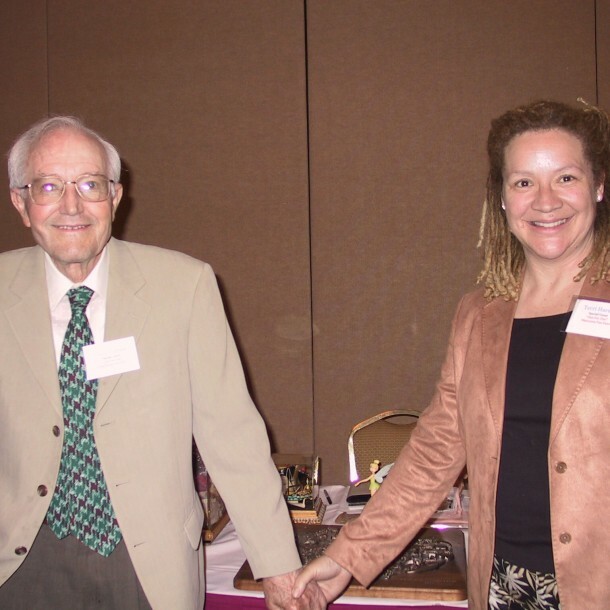 At the age of 19, Terri was ecstatic to be able to meet one of her heroes who was also a puppeteer and puppet creator. •	In 1981, Terry was a part of the Rocky Horror Picture Show on stage for a theater in downtown LA where she portrayed Magenta, the maid. If you listened to Terri’s interview about being the first to get a ticket for Empire Strikes Back, you heard her talking about a friend who brought in a rope and stanchions for her to stand behind. They came from this theater. •	Terri loves to compete in the Disneyland runs. She has competed in 10 Disney and 2 Dopey races so far. Her stories are amazing and she is intriguing to listen to. If you have an opportunity to meet her in person at a Disney convention, go up and say hello to her. She is very animated when talking; it comes from her days as a puppeteer. You will be hanging on her every word. I have met with her on multiple occasions and just love hearing her stories. I contacted her in 2017 to ask if she would like to write the foreword to my new book. She was more than happy to and it was a whole page long. Visit MY WEBSITE to get a copy of my book with Terri’s foreword in it. I wanted her to read it from an Imagineer’s point of view. 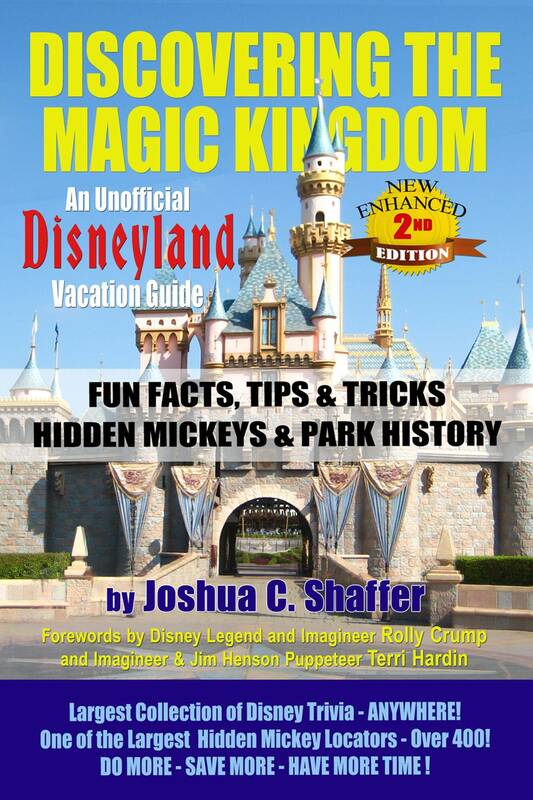 My book has over 3,700 fun facts and bits of history in it about Disneyland and Disney movies. If you get my book, visit Terri at an event and she will sign the page about her, page 669. Check out her website as she puts up sculpts for people to purchase. She will sign and number it for you. You can also ask her about getting a signed copy of her book or pumpkin carving DVD. 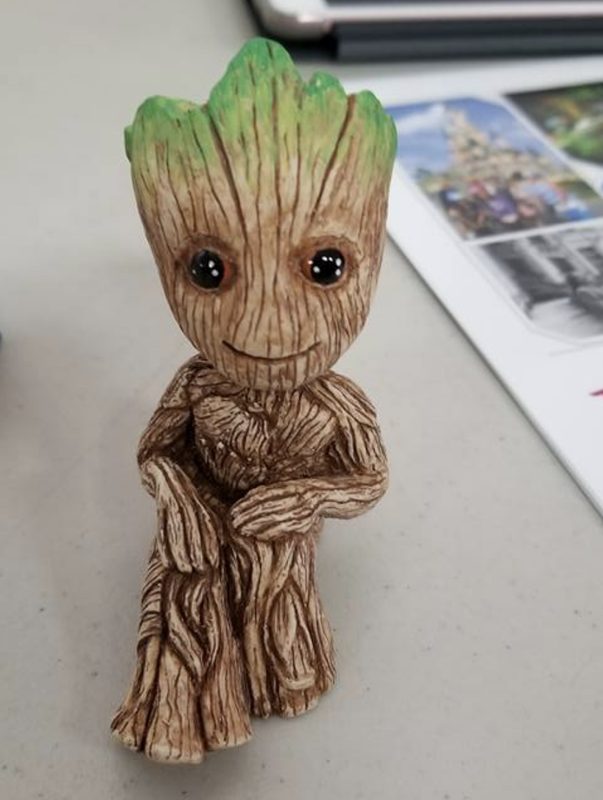 Her upcoming sculpts are Baby Groot and the Hitchhiking Ghosts from Haunted Mansion. 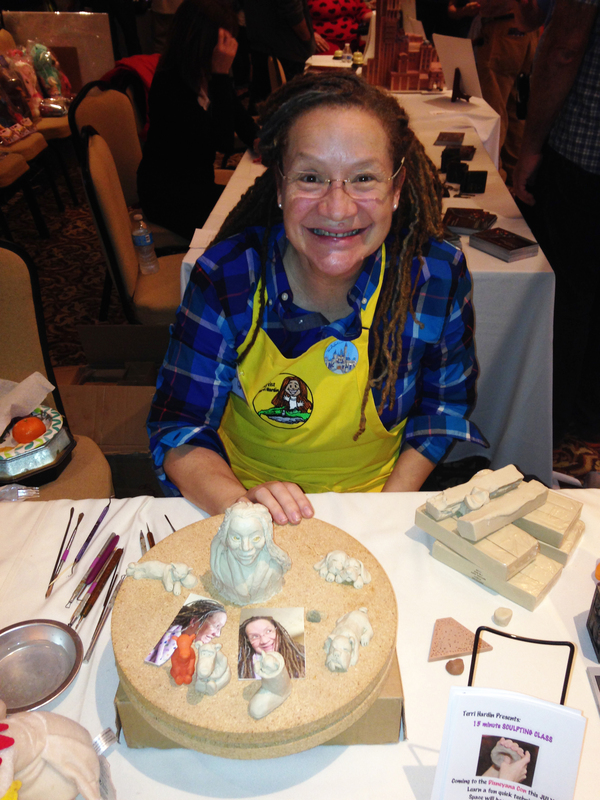 In closing, I am leaving you with this pic of Terri sculpting for viewers at a Disneyana Convention in Anaheim/Garden Grove in February 2016. Do you want to contact or follow the magnificent Terri Hardin? She gives private tours of Disneyland from an Imagineer’s point of view. She also gives tours of other Disney parks as well, like Disneyland Paris this September. Contact her for details.